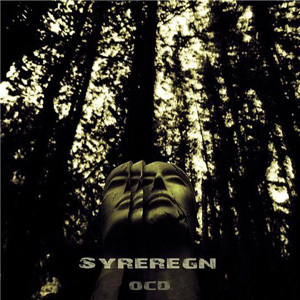 Syreregn (Acid Rain) are a new Danish 70’s rock band. While our neighbour, Sweden has a lot of bands playing 70’s rock and singing in their native language, this is very rare in Denmark. The CD begins with Overture, which has a psyched out beginning but becomes a pretty cool instrumental jam. Tag solen Ned (Take the Sun Down) is sung in Danish and reminds me of Magnolia from Sweden or November in a way. Mirror Mirror is sung in English and sounds a lot like the Danish band the Young Flowers or Cream (without the driving heavy bass). LN Sandhed is a pretty normal rock song and not all that interesting. Time the Time is a bit bluesy and they jam it out a bit as well with some nice guitar and bass playing. Sol over Reykjavik starts slowly with bass but quickly speeds up into probably the most bluesy track on the record. J.Møller is a pretty good guitarist but sometimes I wish he would really let it lose. The CD ends with the 8 minute title track, Syreregn. It starts slowly and is a nice track with acoustic guitar and something totally different. There is a few minutes of silence and then they come back with Blue Eyes Blues, a sort of country shuffle track. Cool. Damn cool record.